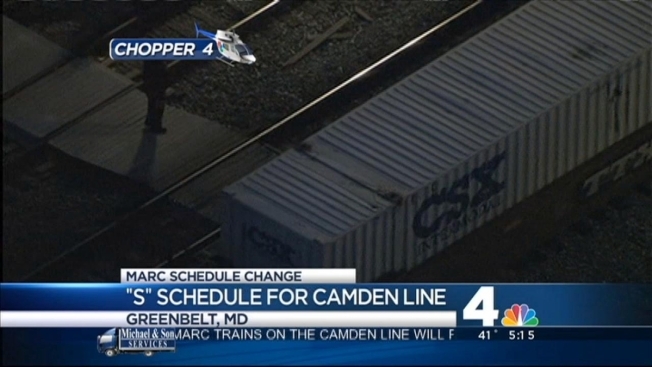 MARC's Camden Line will operate on an "S" schedule Friday following a deadly accident. Prince George's County Police say a man jumped in front of a train near the Greenbelt Metro station around 7:40 p.m. Thursday. He was pronounced dead at the scene. Officials say because of the incident, there's a significant shortage of "properly rested crews." Only trains with an "S" under the train number on MARC's schedule will run. Officials say the Penn and Brunswick Lines are not affected. Camden Line tickets will also be honored on the Penn Line.